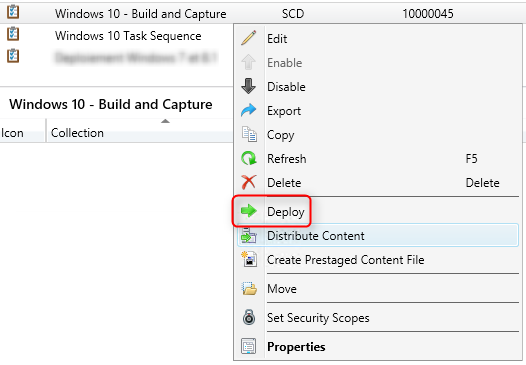 In the third post of this blog series about Windows 10 Deployment using SCCM, we will show you how to create a SCCM Windows 10 Build and Capture Task Sequence and deploy it. Complete the preparation of your environment before reading this post. 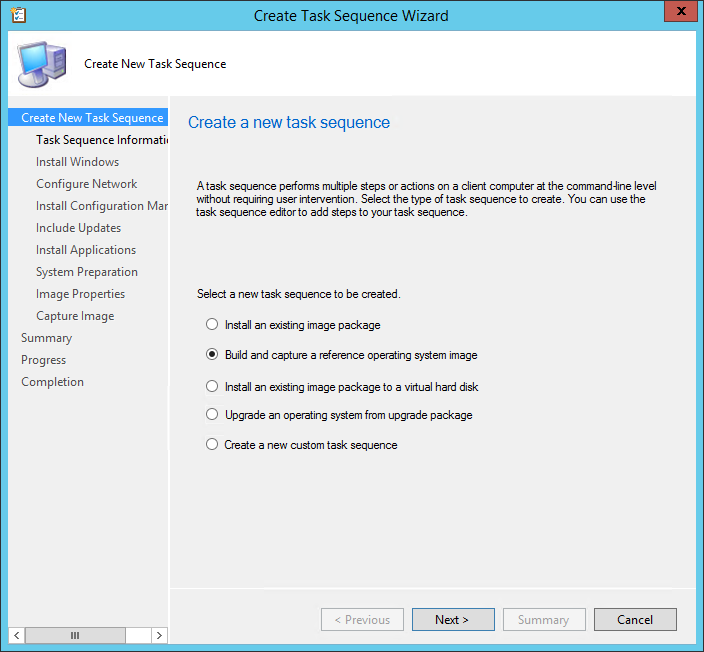 You will be able to edit this task sequence later to customize it to your environment. 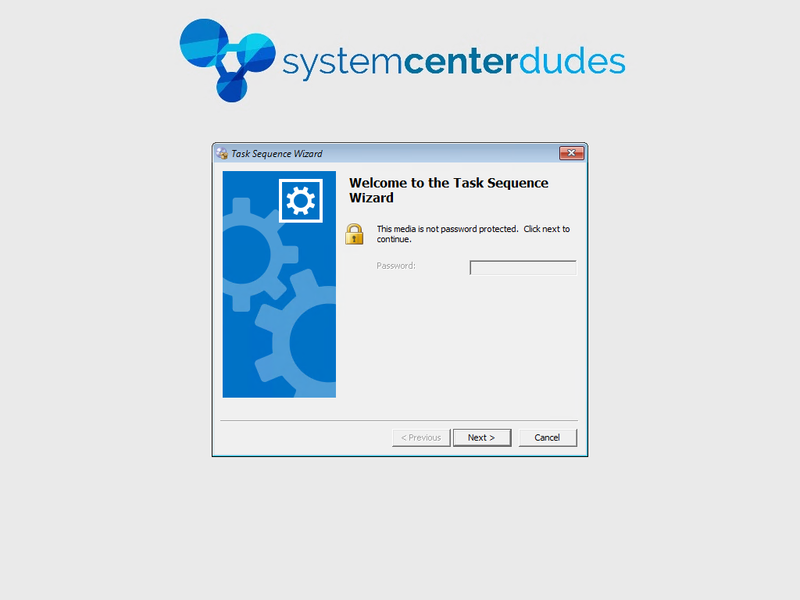 The goal of a build and capture task sequence is to capture a reference machine OS in order to redeploy its configuration multiple time. As a best practice, we recommend not to add too much software and customization to your reference image. 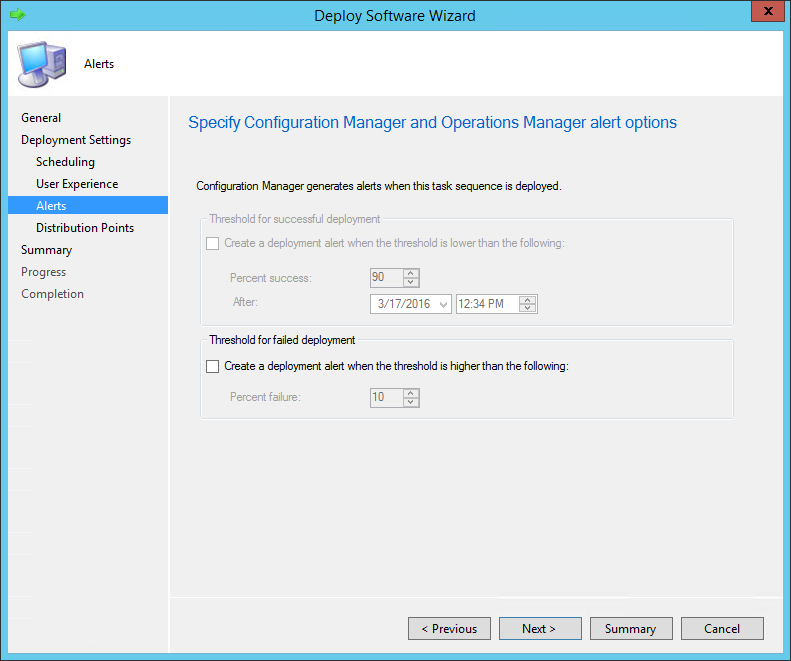 Rather, use the task sequence steps to customize your deployment which decrease management operation tasks in the long run. For example, if you want to include Adobe Reader to your reference image because all your users need it, do not install it on your reference machine and do your capture. 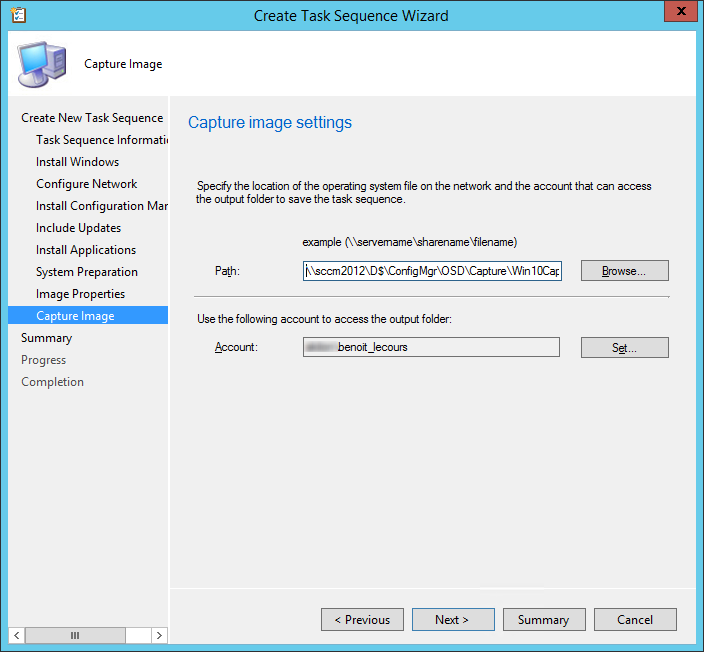 Instead, use the Installed Software step in the capture task sequence. When a new version of Adobe Reader will be released, it will be a matter of a couple of click to replace the old version with the new one. 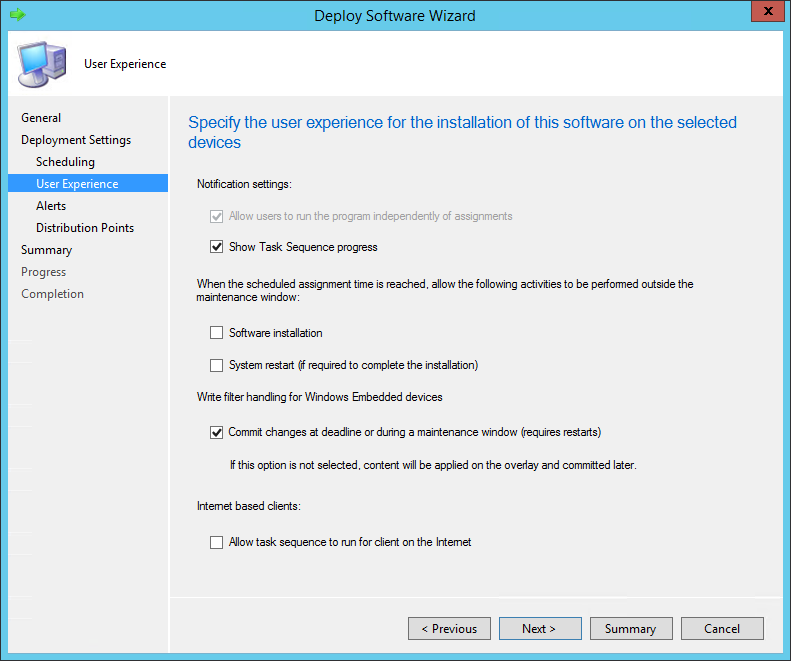 On the Install Applications tab, click on the Star Icon to add any application that you want to be installed during your build and capture deployment. 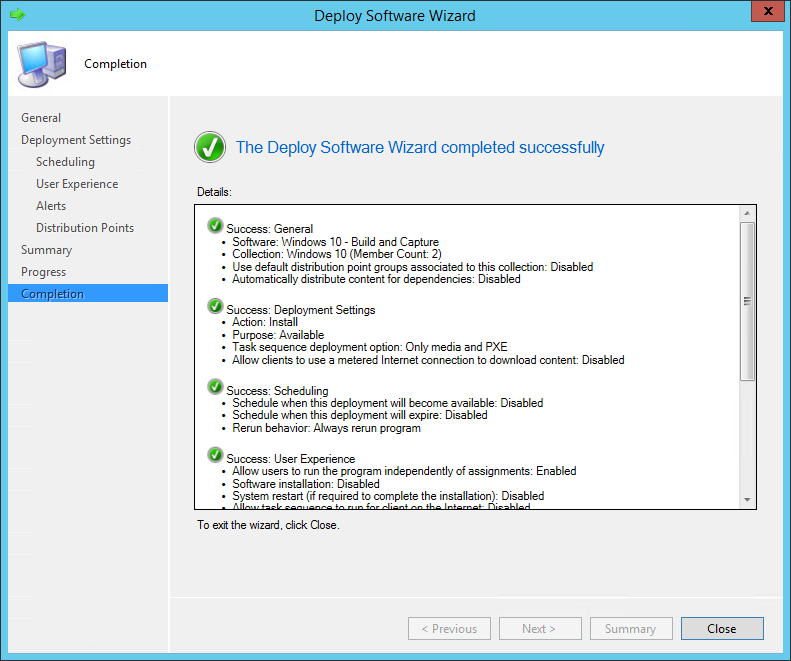 These applications will be part of the reference image, we recommended adding only software that need to be included in every deployment… and even there, I prefer add it to a deployment task sequence rather to include it in my image. 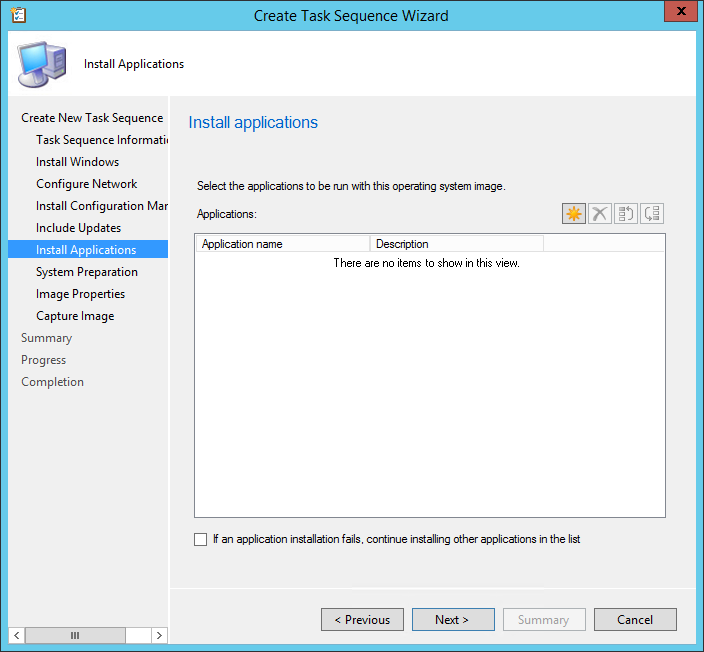 The reason is pretty simple, if you need to make an application change, you only have 1 step to change to your task sequence rather than redo the whole build and capture process and then modify your task sequence with the new image. 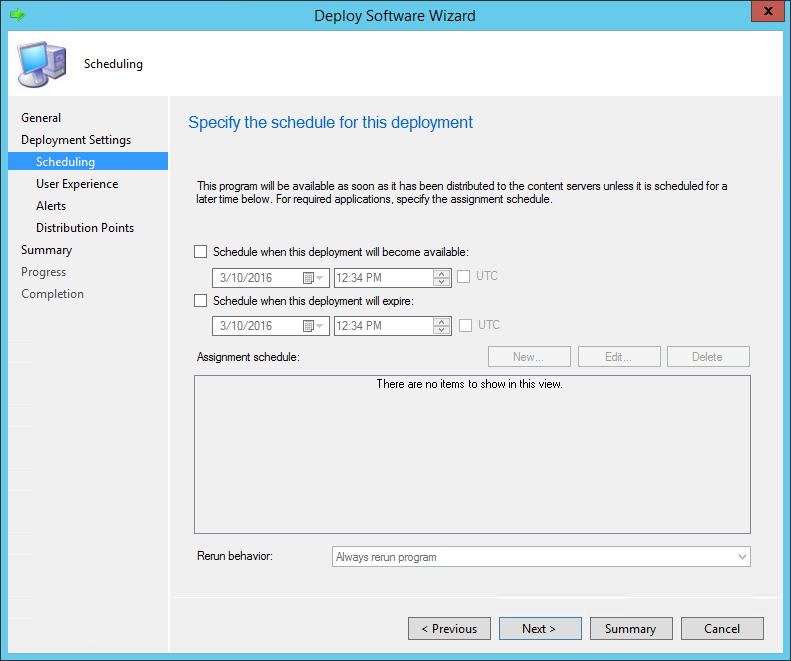 Some likes to add Office or other big applications that every users needs to reduce deployment time. 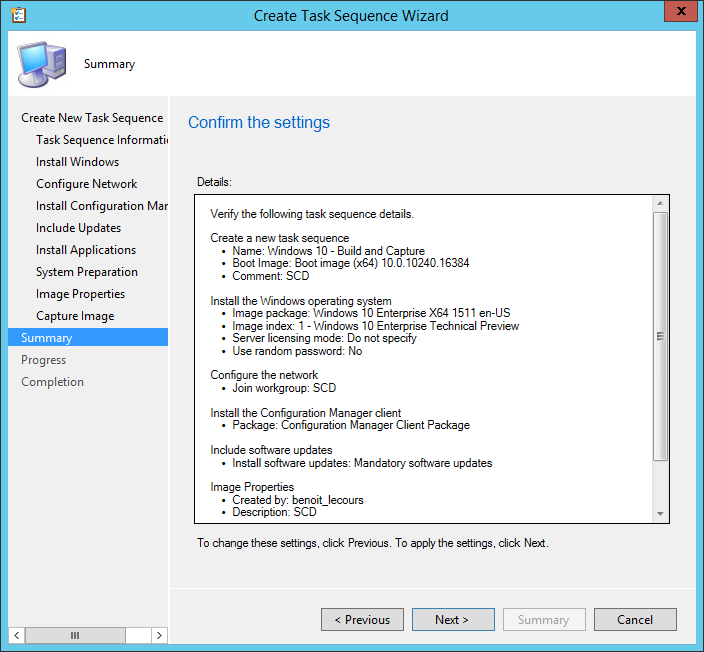 Now that our Task Sequence is created, we will deploy it to a collection and start a Windows 10 Build and capture. 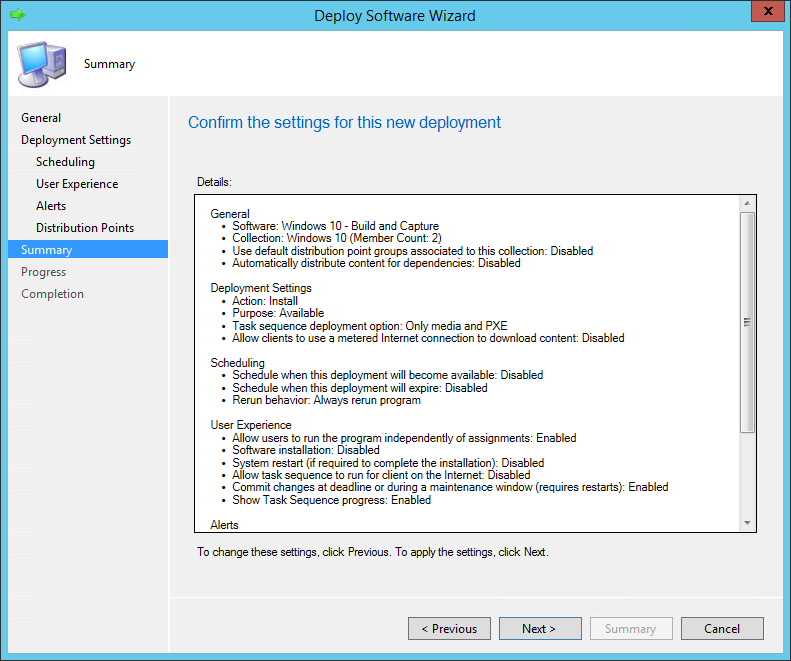 It’s strongly recommended to deploy a build and capture on a virtual machine. Be careful when targeting the deployment. 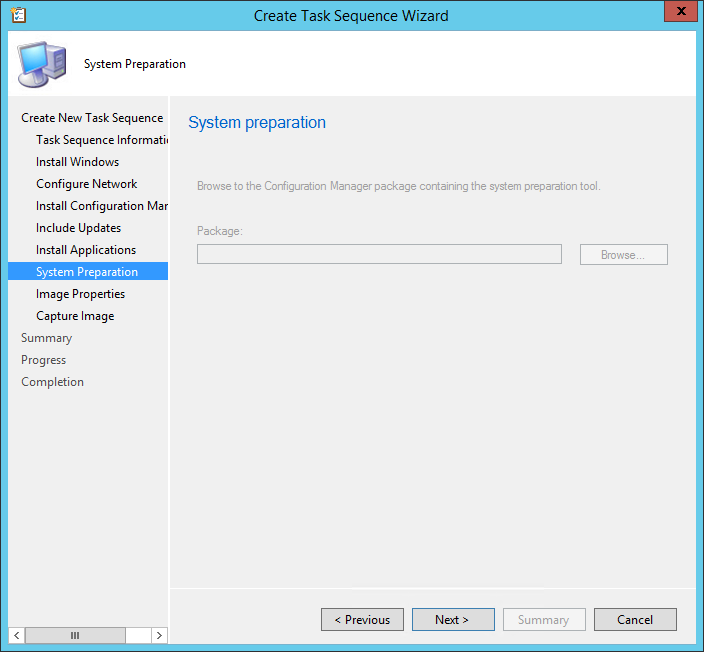 This task sequence will format and install a new OS to targeted devices. 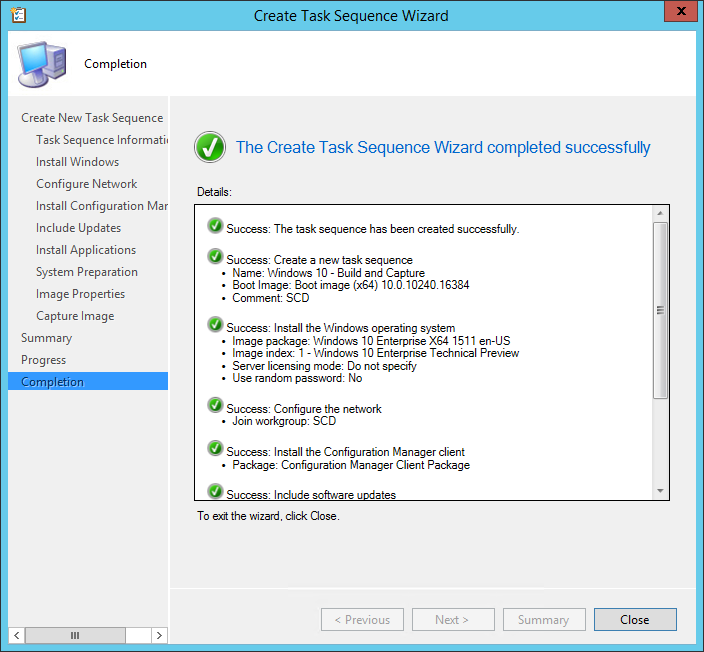 Now that we’ve created our task sequence and that it’s deployed. We can start the deployment on the machine. 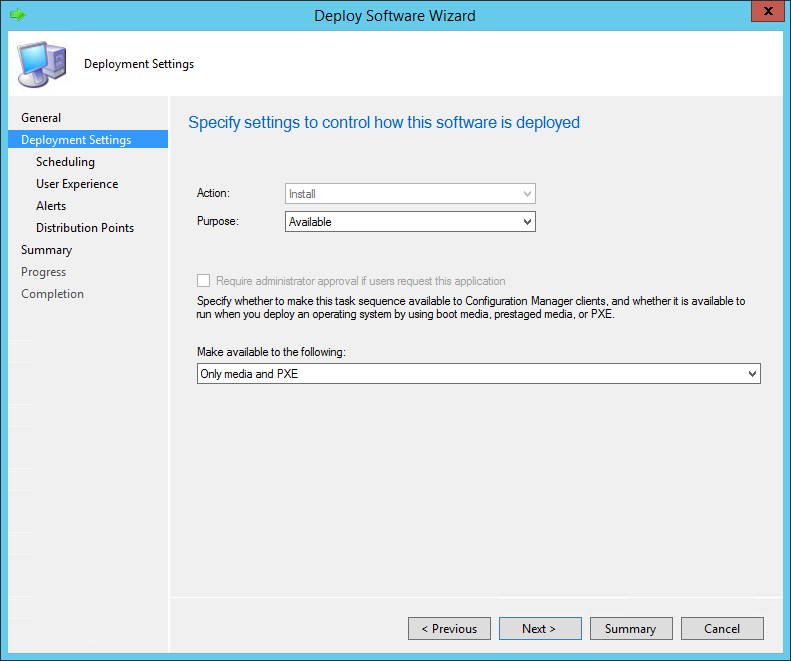 Make sure that the system you want to capture is a member of your deployment collection and start the device. 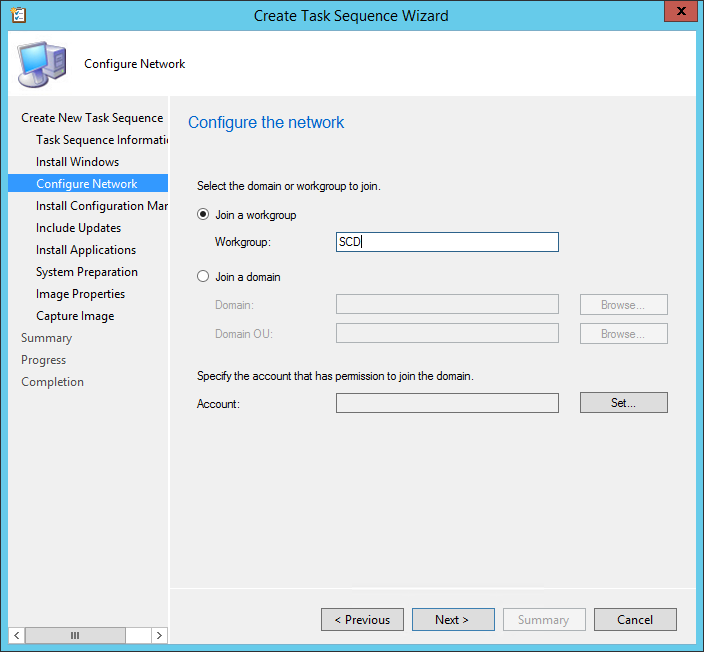 (See this Technet article to know how to import a computer). 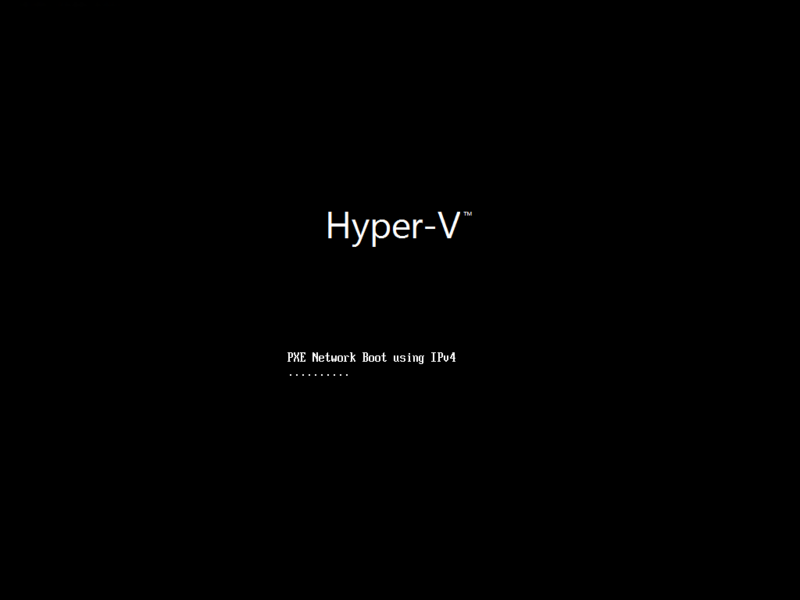 For this example, we will be using a virtual machine running on Hyper-V. I get the error code (0x000000035) and from the log file said it cant find the specified path, wondering if because I didnt specify joining the domain? 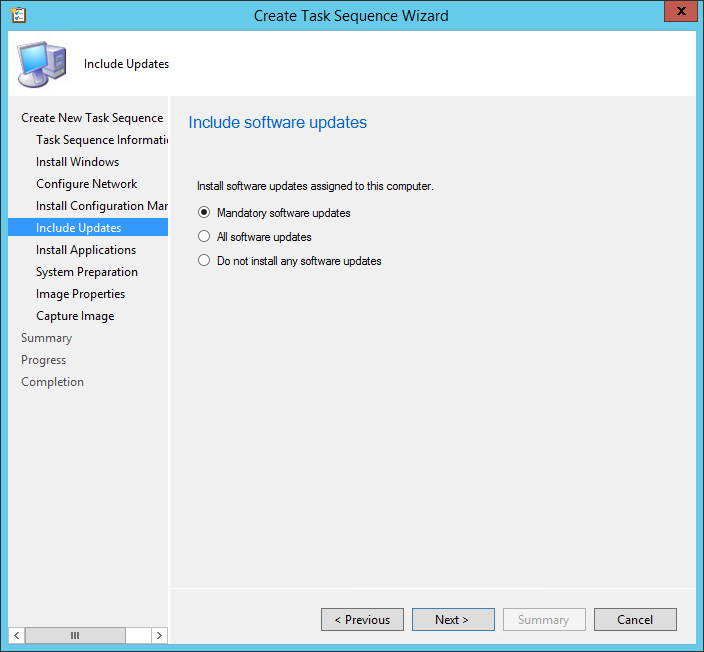 Could you help me to understand the difference between applying the updates via task sequence steps and applying updates directly to the WIM. I’m trying to find any articles associated to it, but I couldn’t get the info. The post is amazing, I wanted to know, after making B&C, what should I do? or where can I add my customization to this B&C? My question is after I complete all of these steps, what is next? Where do I get the installation files for the Creators update? So that I can install the Creators Update in the first place as opposed to installing the Anniversary Edition and then update. Looking to PXE boot using Task Sequence. Having problems with the image containing a “defaultuser0” account after sysprep, any advice? Hello, How can I install one brand new machine with Ms windos 10 with two volumes ( c,: d:) ? Reference image do not contain partition configuration. 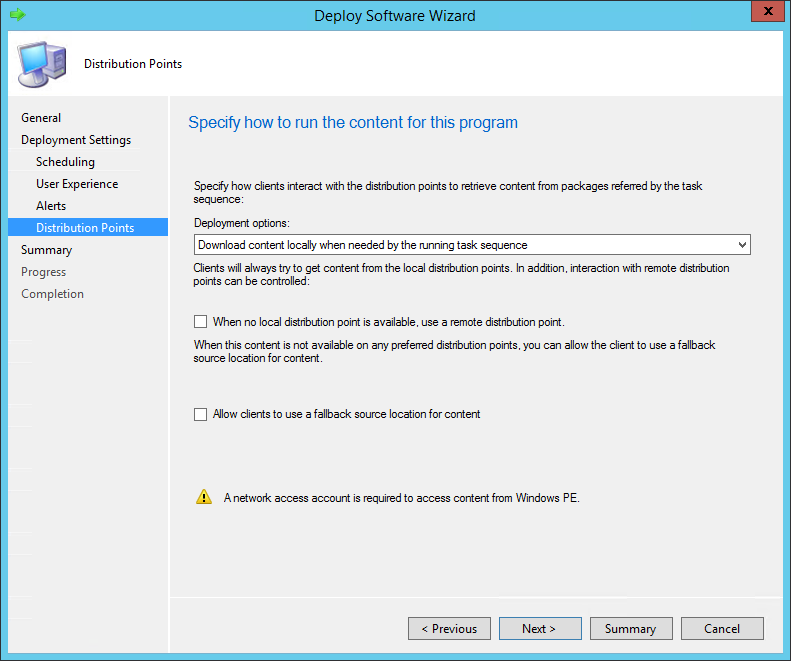 Edit a deployment task sequence, look for the task called UEFI – Partition Disk or BIOS – Partition Disk, to set the disk configuration. First off, I want to say that SCD rock! 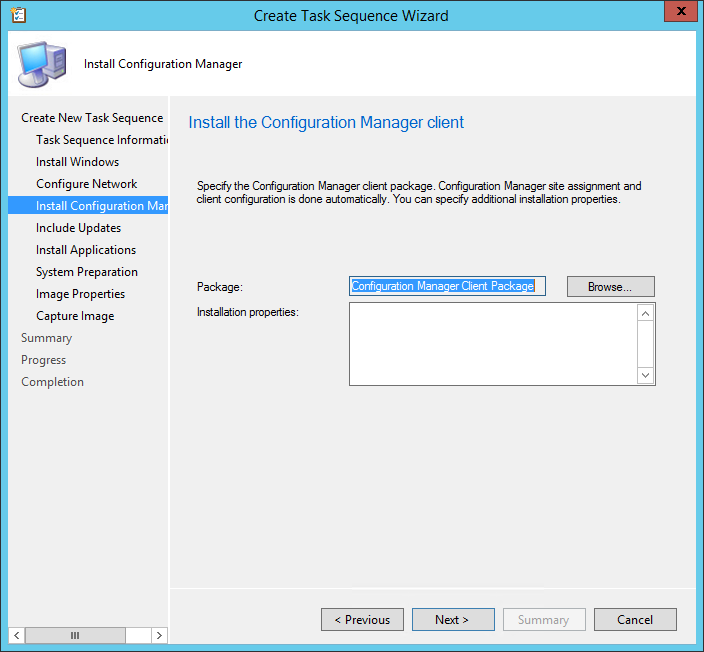 You’ve helped me through the growing pains of the old-to-new transition of SCCM. I’ve been given the green flag for OSD testing. The question came up if a new unboxed PC can be quickly added to a deployment collection without having pre-joined the domain, etc., etc.? I’m leaning far towards no, but I wanted to ask. I think your looking for the unknown computers collection. Hopefully someone sorted you out by now! I don’t understand the difference between this build and capture TS and the capture media boot media. This required that I select an existing wim file to apply as the operating system. All it did was overlay my prepared source machine with the existing OS and then recaptured it resulting in two identical wim files on my server. My original source machine now has to be rebuilt. Does the workstation (VM) that I am adding to the Windows 10 Collection to run the build and capture on have Windows 10 installed on it already or do I create a new VM? If I create a new VM do I install windows first? How do I add that new VM to a collection if no OS is installed on it? Sorry I am confused on that part. 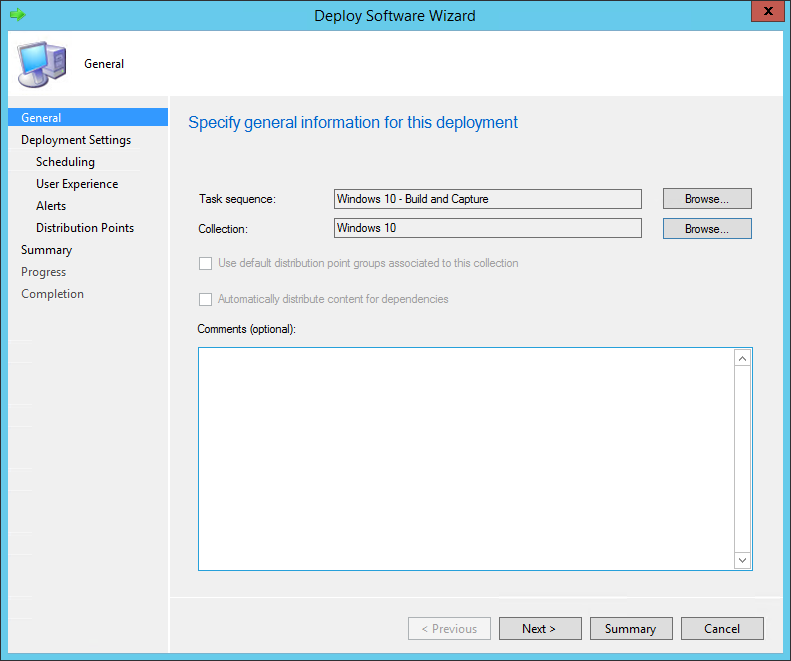 You can deploy your B&C on an existing SCCM client or import your VM as you would do for a brand new computer. 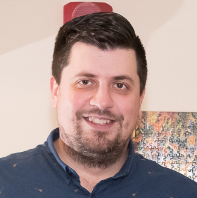 Jack, advertise the build and capture task sequence to the unknown Computers collection and then boot the system into the PXE environment and select your operating system. sounds like a good idea in theory. but how do you customize the default user profile? for example, if you use the step to install an app in the reference image but you want to customize some of the settings for that app later on. How can I pause the process so I can do that and then continue the process to finish the capture? I don’t get this either. This would give me two WIMs on my quickly running out of space server. The one we import from part 1 and the one we capture after pushing out the first one. I already have a reference machine built. Why can’t I just capture that one? I don’t understand this. 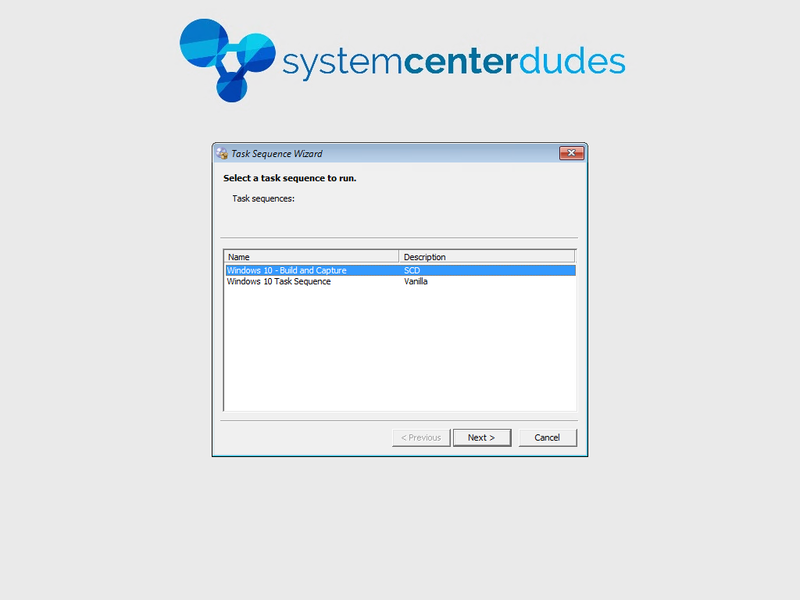 Usually what you would do in a build and capture scenario whether using MDT or sccm is to create a windows installation from reference media manually and install office within a VM. 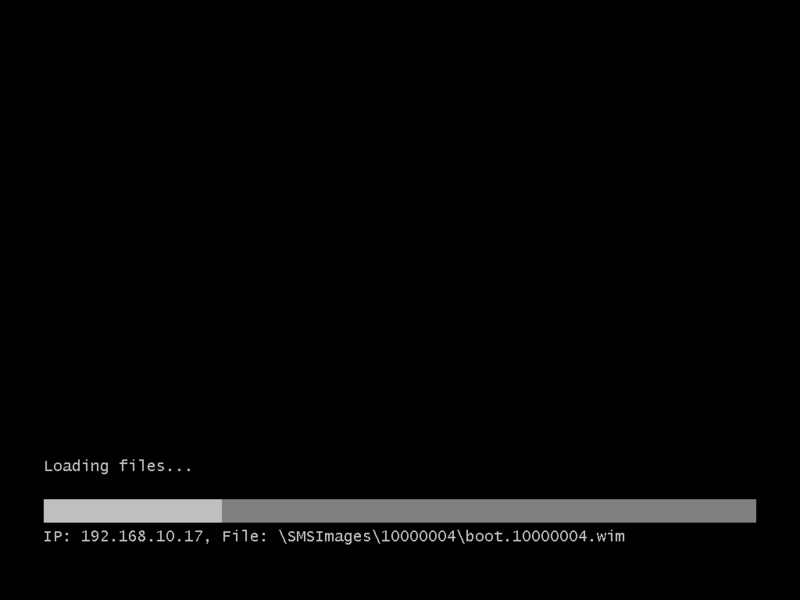 Then within the OS you run the script that reboots the pc and creates a copy of the wim file on the network. 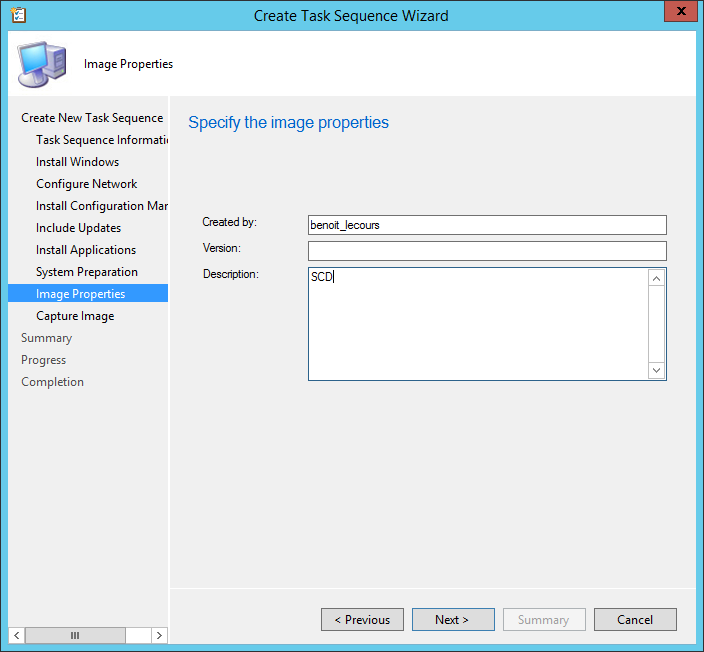 This wim file is then imported in to MDT or SCCM for deployment as an Image. 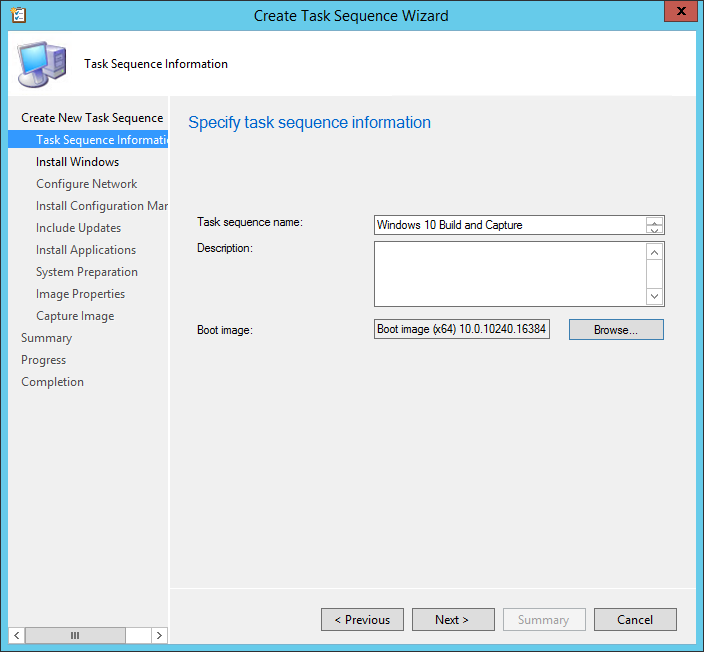 Here you boot the vm and run the task sequence and it automatically starts deploying a windows 10 image? 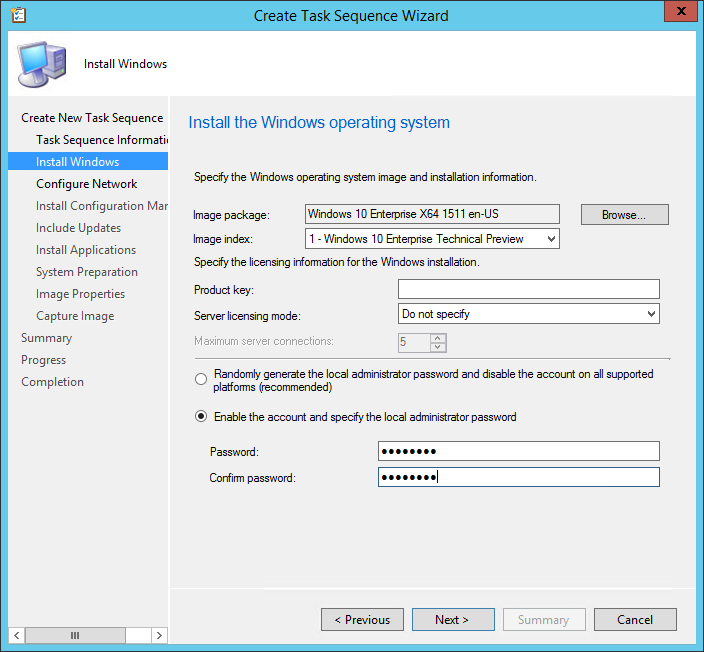 No, the task sequence is used to boot a VM, deploy Windows 10 (and associated configuration) and then capture the WIM file and stores it on a specified location. You will then use this “captured” WIM file in your regular task sequence. Hope it helps. Thanks for the reply, but I am still missing a step or two. I don’t see where in your guide anything is being captured. 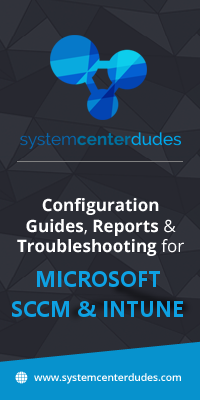 Where in your guide are your adding anything to windows 10 (the associated config) and capturing it? Ok Sorry. 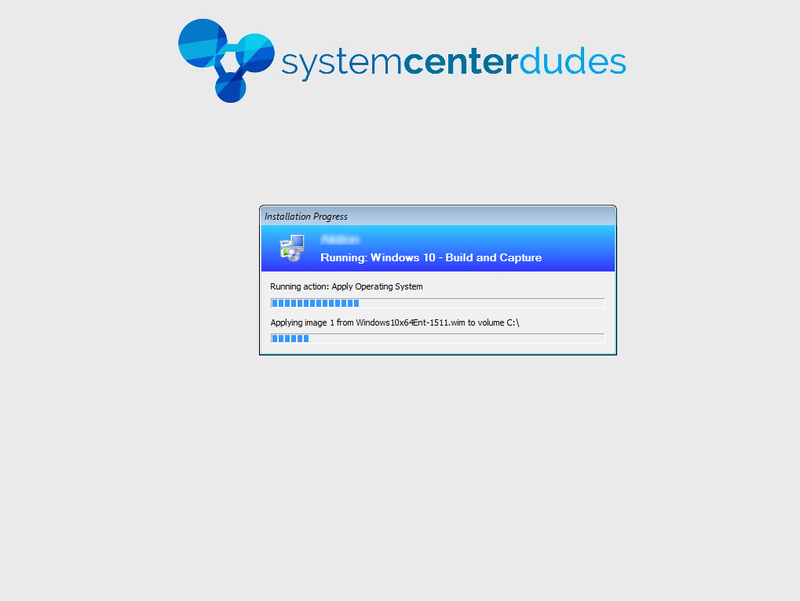 I understand, it is the updates and applications that is customizable in the wizard that permits customizing the wim. Does this greatly increase network load and deployment time versus deploying a thick image (only drivers and hardware-dependent applications installed during deployment)?